Twin births are such a joyous occasion, but they are also risky. Twin babies are more often likely to develop problems than single babies, due largely to premature birth. Although, they can also develop problems while still in the womb. Hence, many parents will find themselves raising special needs twins or sometimes only one twin with special needs. Twins are at a greater risk for special needs for many reasons. There is the fact that two babies have developed where there should have been just one. They can develop TTTS (Twin To Twin Transfusion Syndrom) which may have devastating effects. Also there is a great risk associated with the fact that two babies are often not carried to term and result in premature birth with comes with many risks on its own. 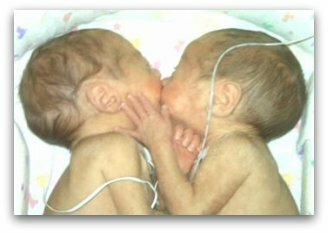 Premature birth is most often the cause of special needs in twins. Preemie babies may suffer from a host of long term problems depending on the extent of prematurity. Issues such as neurodevelopmental handicaps, chronic lung disease, visual and hearing problems, just to name a few. When identical twins develop from the separation of cells that were meant to be just one baby things can go wrong. During this separation there is a great risk for abnormalities to develop. The cell separation may not go smoothly or their may be an unequal separation. This can result in many birth defects, ranging from cleft palate to cardiac problems. As a parent of twins with special needs it is important that you learn how to cope. You love your special needs twins, but that does not mean that it will always be easy. 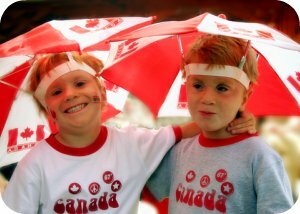 Raising special needs twins can be a challenge and requires you to stay strong and be supportive of your children. Parents raising special needs twins need to remember to care for themselves as well as other children they have. It is important that you do not ignore your needs or the needs of your other children who do not have special needs. You may want to join a support group to help you with your emotional and psychological needs. It can be very stressful taking care of twins with special needs. Even parents who have healthy twins struggle, so do not be afraid to ask for help or talk with other parents in similar situations. Raising special needs twins is nothing you can really prepare for until they are here. Having two babies instead of just one is a challenge all on its own. You have two little people who need to rely on you for everything. You have to ensure they are fed, bathed, clothed and changed. Even if your twins do not show signs of special needs at birth, you will still be facing a demanding schedule just keeping up with their everyday needs. Be ready for the extra work. You should also understand that in twins it is common for them to be behind other children their age in reaching milestones. 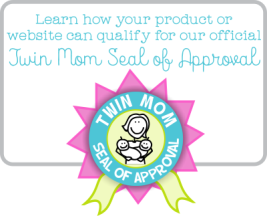 You twins may hold their head up, roll over or walk later than other children the same age. This is usually nothing abnormal and should not be cause for alarm unless they fall way behind other children their age. Stay on par with a good pediatrician, ask questions and discuss concerns. If you have twins that have serious medical conditions then you need to be ready for the financial aspect as well. Twins with special needs will require a lot of medical care. Depending on the needs of your twins, you may end up spending a lot of money on medicine and doctor visits. You may want to find a support group who can point you towards programs that may be able to lend you a hand financially. To really understand what is happening with your children you have to learn as much as you can. Find out about their condition or conditions. Do your research and ask questions. Many parents find that the more they know, the better able they are to cope with the situation. You can never ask too many questions of your children's doctors and health care providers. Raising special needs twins is not always going to be hard. You will still get to have those moments when they smile at you and your heart melts. They are your babies, after all, and you love them no matter what. You should focus on providing them a healthy, happy and loving life in the best way you can. Do not sweat the small stuff. Parents of twins with special needs learn to see the big picture and understand that the most important thing is loving their children no matter what.